If Download is enabled on Vizit's "Configure Settings" page in Central Administration, a Download link is presented to users if the document format is not supported for viewing. A default Saved Search can now be specified. This default search is automatically performed when the page is loaded. For information about using Default Saved Searches in Vizit 5.2, see this KB: http://support.vizit.com/entries/22411666-using-default-saved-searches-in-the-list-search-web-part. An export endpoint was added to collect social conversation data for aggregation and reporting. For information on using the new ExportComments and RenderMark endpoints, see the documentation here: http://support.vizit.com/entries/22126257-using-exportcomments-and-rendermark. Added an export API call for generating PDF copies of SharePoint documents and burning in Pro annotations. See the documentation here: http://support.vizit.com/entries/22417977-using-vizit-api-to-export-to-pdf-with-pro-annotations. Enhanced performance of In-Document Search by searching individual terms instead of just the whole phrase. Added ability to group terms in In-Document Search in Vizit Essential with quotes. Improved load performance of Instant Previews on Document Library views with many documents per page. Rendition Service takes priority over default behavior for formats it is configured to render. Fixed an issue that would cause highlights in social conversations to not properly track with the mouse when moving or resizing. Addressed a bug which could result in Vizit not properly challenging the browser for credentials resulting in some requests to return an Access Denied page instead of the required content. Addressed an issue where Social Footnote URLs were always generated for the Default Alternate Access Mapping Zone instead of the Zone being accessed. 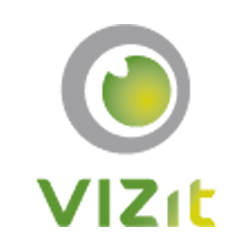 Fixed an issue which could cause Vizit to fail to render Instant Previews in search results of documents in sub sites. Fixed an issue which would cause Essential's Property Editor to fail when field validation is triggered. Addressed issue where the selected scanner might not be used, resulting in the first scanner to be used instead. Fixed an issue where scanning would not work unless Vizit Everywhere was enabled at the targeted scope. Fixed an issue which would cause Pro's Property Editor to fail when complex field validation in an ItemUpdating event receiver sets SPItemEventProperties.Cancel to false. The error message set in SPItemEventProperties.ErrorMessage is shown to the user in this case.